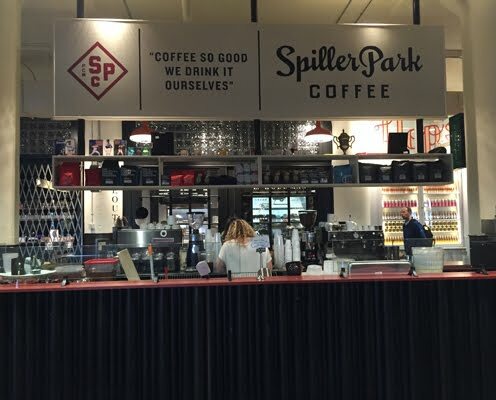 Yet there exists one blessed fusion of America's favorite drink with America's favorite past time at an Atlantan coffee bar called Spiller Park. 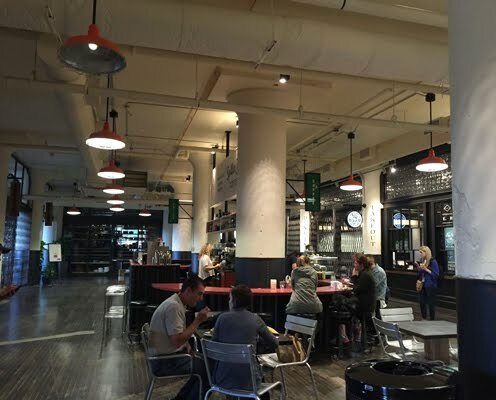 Located in a gigantic warehouse-turned-food-heaven called the Ponce City Market Central Food Hall, Spiller Park resides within a central island that gives the vibe of a 1950s lunch counter that actually serves excellent coffee. 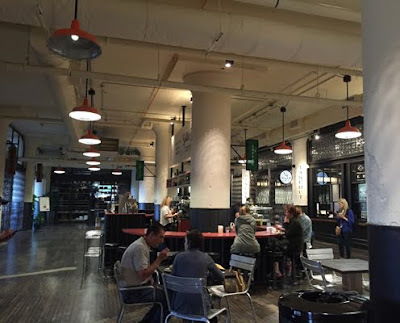 The seating is mostly on fixed stools around the bar but it does also spill out onto the communal market tables. 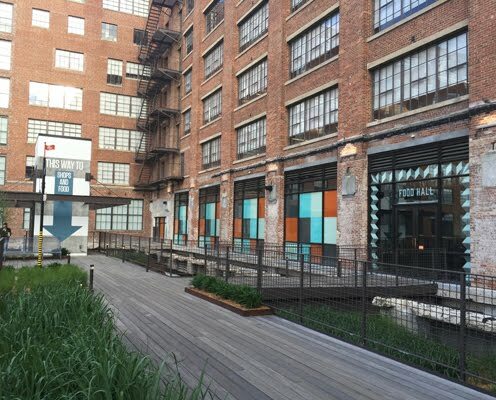 As for coffee, they serve up a mighty mix of roasters, including George Howell, Intelligentsia and Phil and Sebastian. For my espresso the day I visited, I ordered shots of Black Cat and a pourover of a Colombian from Phil and Sebastian. The espresso, pulled short with brown crema, smacked of chocolate milk, lemon zest, toffee, watercress, tomato and fresh garlic, proving zesty, sweet and full. The pourover made for a delicate, smooth cup of nectar ripe with caramel, honey, vanilla ice cream, mango, green apple, a touch of baby big lettuce and a little green tea in a light/medium body. 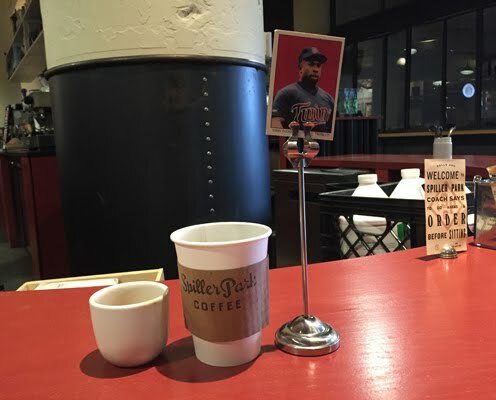 All around, Spiller Park seems to have accomplished a perfect game of coffee excellence. Especially if you like pairing your coffee with some baseball influence, sprint on down to Ponce City Market for some excellent coffee from Spiller Park. Marc's Coffee: Buy Award-winning Indian Organic Coffees from Online Coffee Shop India. Taste the Best Indian Organic Coffee Powder & Coffee Beans in 1 click • Marc's Coffee: Buy Award-winning Indian Organic Coffees from Online Coffee Shop India. Taste the Best Indian Organic Coffee Powder & Coffee Beans in 1 click • Indian fine coffee. hi,this post shows a awesome information about coffee if how to use coffee grounds and how to prepare a healthy coffee its usefull tips for our health thanks for sharing your ideas .